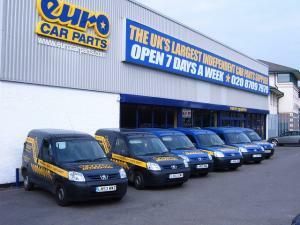 Euro Car Parts has bought 27 Unipart Automotive branches after the latter entered administration. Mark Orton, Will Wright and Jonny Marston from administrators KPMG oversaw the deal, which will see Euro Car Parts expand its number of UK sites to 194. It is hoped that the majority of Unipart employees that had worked in these branches will go on to work for the new owners. This news should ensure a steady supply of parts to motor traders should continue unabated, which is good news for all involved in the industry. Being able to source parts from a large supplier can help to reduce costs; the same is true of motor trade insurance, where a large and well-respected broker like ChoiceQuote can search the market for the best possible deal on your insurance. Martin Gray, CEO of Euro Car Parts, commented on the deal: “We are delighted to have acquired these 27 branches and may yet acquire more. Over the last few days we have been working hard to identify which locations fit into our growth strategy. This deal clearly demonstrates our determination to deliver industry-leading levels of service and availability. Indeed he added that, in addition to the site acquisitions, Euro Car Parts made offers to over 100 ex-Unipart employees. During the next 12-18 months the company hopes to create 1,500 new positions.